Summon: Give a creature Guard. 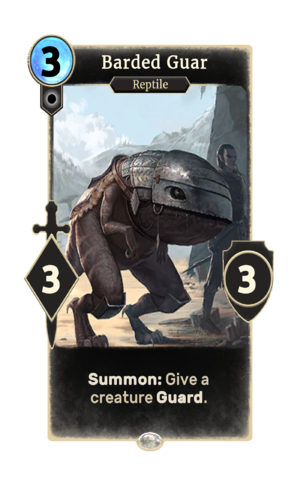 Barded Guar is a common Neutral creature card. It is part of the Core Set. This card's summon ability applies the Mount Up card effect. Guar first appeared in Morrowind, and later reappeared in ESO.